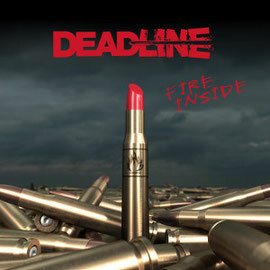 French Hard Rockers DEADLINE will release their first full-length album "Fire Inside" through Badreputation on October 25th 2014. 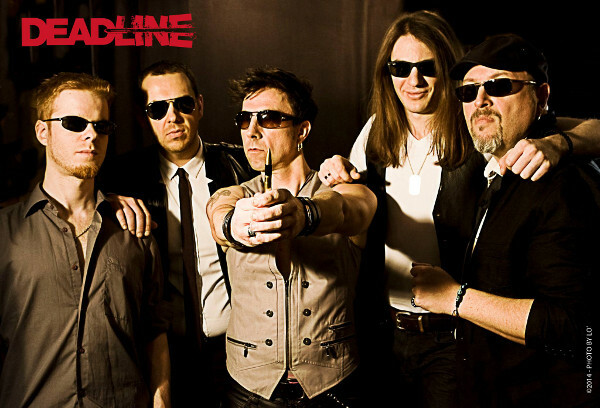 The band has appeared in the Hard Rock scene since 2009 and released the acclaimed EP "Heading West" was engineered by Beau Hill in 2012. This EP has hit almost 15,000 plays on streaming websites, and also was broadcast on radio shows in the world, including our show in Japan. New album "Fire Inside" contains 10 new tracks and a bonus track featuring William Fourmental on cello as a guest musician. It was produced by DEADLINE with sound engineer Thierry Velly (Totem Studio). This "Fire Inside" is packed with Hard Rock anthems you'd like. You can try a pre-listening of the album on a below player. First video clip from this album can be seen very soon.